After the video concept and implementation, its proper branding is the second most important step to the success. Your website logo, domain name or brand name should by all means be present on the video. The video intro is a good way to get your branding in front of people straight away. It’s a good idea to have the same intro for all your videos for the sake of consistency. I have used Fiverr many times to find a good video intro for by channels. It’s very affordable and you always know what to expect thanks to the gig previews. All in all, depending on how good your video intros are, the users will either keep watching or leave and for how long you’ll be able to keep your customers engaged with the video determines video Youtube rankings. Obviously, brand it well but don’t make it about your brand. Focus on making it engaging. Try and make sure that it grabs and holds the attention. It may be a good idea to let your friends and followers watch your video intro and share their feedback before you move forward with it. Promoting a video without a watermark is the same as link building without actually specifying your link. Protecting your video from re-distributing under someone other’s name (if your video is great, someone is likely to want to promote his own site with it). Click ‘Load DVD’ and ‘Add Video’ to add your media source. 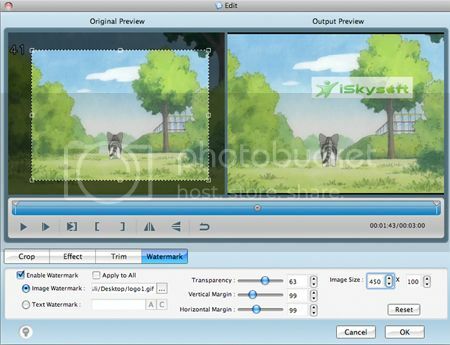 Click ‘Edit’ to create a watermark. Do you have any other advice on watermarking your videos (preferably one that even an amateur could follow). Please share your thoughts! A video thumbnail is probably the most important thing for click-through. It shows up in search results, related and suggested videos and it actually determines whether your will get more clicks than the videos around it. Create something that is immediately recognizable: Think of the channels you watch frequently. You may have noticed that they have a certain ‘look’ to their thumbnails. These trigger a connection in your mind, letting you know that it is a video you would like to watch. The most successful YouTube channels will use this tactic. Keep style consistent across the channel: If it looks a certain way on one video, it should use a similar motif or pattern for the next. This will assist in the branding of your image, which in turn will connect others to your channel and so what you upload onto it. Overlay with very readable clear text: Readable thumbnails attract eyes and trigger curiosity improving the click-through. Don’t use more than 7 words there (they should be readable even if the image is very small). Keep in mind that the image will be used also as a preview image for the embedded player, so the original should be a full 1280 x 720. Canva is a great tool to create Youtube thumbnails. They even have templates for that. Here’s also a useful collection of Royalty free and Creative Commons images, videos and sounds for you to use to create awesome videos. You can use all of the sounds and video elements on the list without worrying about copyright infringement. Just make sure to post the credits in the video description! This website also shares some additional Youtube marketing tips to check out! Are there any other Youtube branding tips you can share? Please comment!